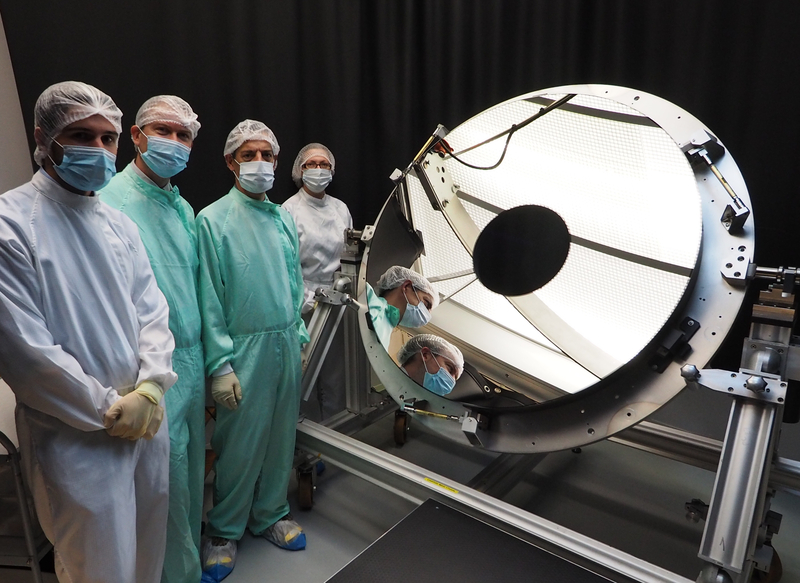 The primary mirror (M1) of the Euclid telescope, together with representatives of Safran Reosc, the mirror manufacturer, and Airbus Defence and Space, in charge of developing the spacecraft’s payload module, including the telescope. The primary mirror is the first optical element to be delivered. The telescope has three curved mirrors (including M1) and three flat mirrors, which direct the light to the two instruments on board with the aid of a dichroic filter that separates visible and near-infrared wavelengths.